Sabrina sees at night savoring sweet potatoes. 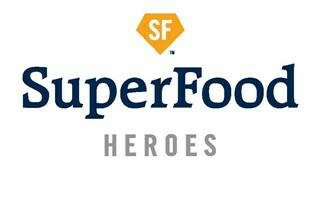 SuperFood HEROES is a research-based elementary school program designed to increase students’ knowledge and consumption of vegetables. 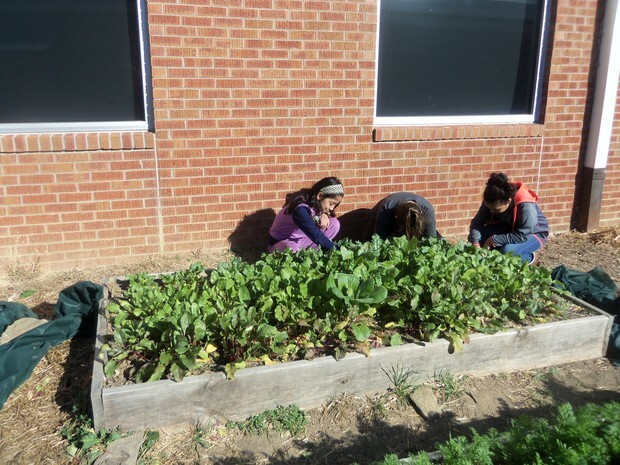 The program educates students on the “superhero-like” nutrients that vegetables provide in our diet. The vegetables are served in various ways in hopes of broadening acceptability and instilling healthier eating behaviors. 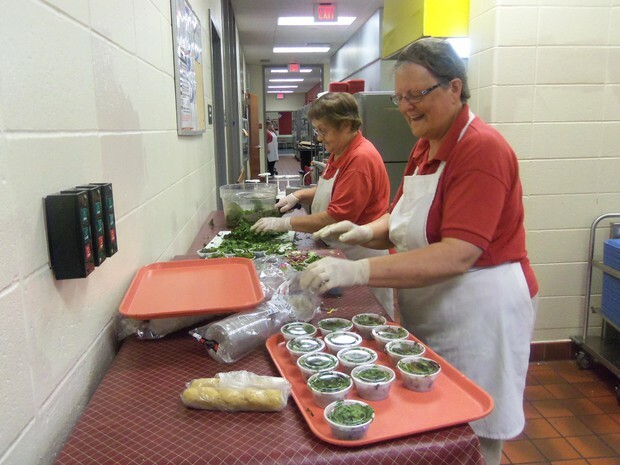 Featured recipes may be offered as part of the school lunch as well. 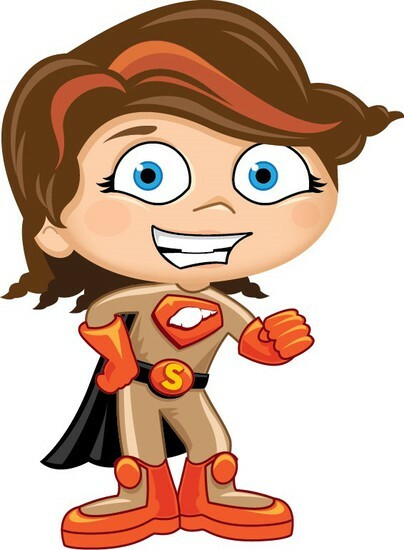 There are 20 SuperFood HEROES characters designed to appeal to students and promote the super power of the vegetable for which they are named (Ex: Samson Spinach, Sabrina Sweet Potato, and Rhett Red Pepper). Research shows that the more times children taste a food, the more likely they are to begin liking the food. Sometimes, however, it can take eight or more times of trying the same food to start enjoying it. Because of this, students are encouraged to taste the same vegetable multiple times. The program will be conducted in the 4th grade, as research shows that taste buds are in high development during that age. Today's kids watch as much as 35 hours of television per week. But parents (and grandparents) can help change this cultural norm and motivate kids to move more. How? By leading by example and getting in the exercise game too! • Be a role model for your kids. Present physical activity as an important time to take care of your body and health, rather than a chore. Find activities you enjoy and be active for at least 30 minutes five days a week. Remember, adults need at least 150 minutes of moderate-intensity physical activity per week, and children need 60 minutes of moderate- or vigorous-intensity aerobic physical activity each day. • Praise, reward and encourage your kids' physical activity by providing activity-related equipment, games or outings. Plan time in a day's schedule to engage in 60 minutes of physical activity each day, which can accumulate with shorter chunks (at least 10 minutes at a time) throughout the day. • Head for the nearest park, swing set or jungle gym after school. • Jump rope with your kids or organize a neighborhood jump rope group. 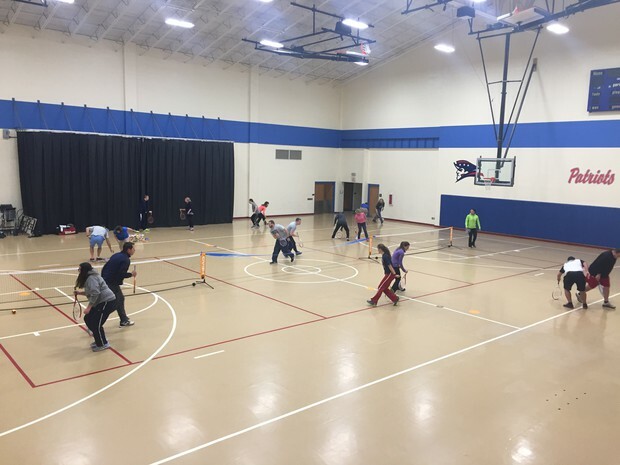 • When foul weather strikes, play active indoor games. • Organize your family room or living room for more activity. Think kid's yoga or dancing to music after dinner. 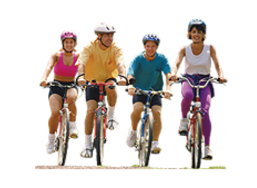 • Make time for a half-day family activity each weekend, such as a family walk, bike ride or tennis match. 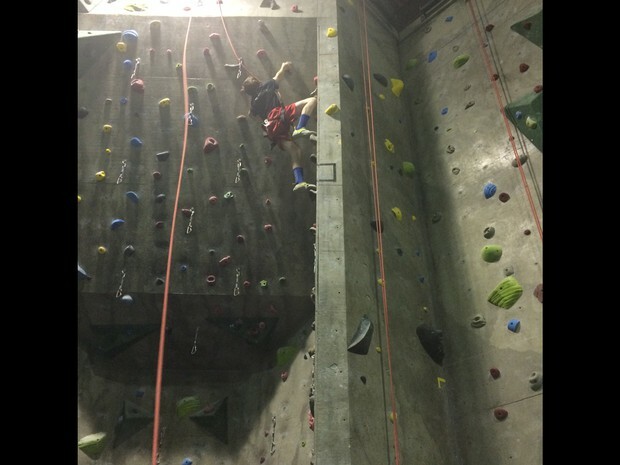 Ask your kids which activity they most want to do. • Play a backyard game such as freeze tag or Frisbee. • Set up a backyard net for badminton or volleyball. • Play catch or soccer with your kids or organize a neighborhood game. • Encourage kids to participate in active chores such as light housework, raking leaves, sweeping the walks or cleaning the garage. Make the chores fun to do — turn on the radio — and do the chores with them. • Take a nature hike to collect leaves and rocks to make a collage. • Walk or bike to the local library to borrow a book. 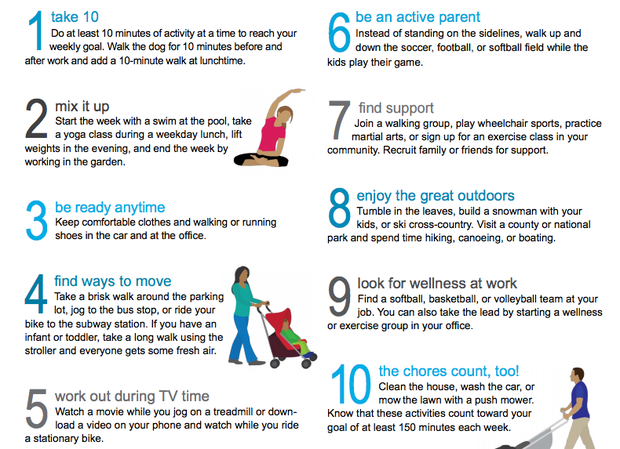 • Encourage fun physical activity time during kids' free time. Next time your kids say, "I'm bored," offer to shoot hoops or play catch. • Enroll your kids in organized activities. These are a great way for kids to get fit. Encourage participation in a variety of activities such as soccer, swimming or dance. • Gather the family together and play interactive computer games that require physical activity. • Get up early with your kids to walk the dog before school. • Limit the extracurricular time your kids spend in front of a computer or TV to less than two hours daily. • Use dance DVDs for some physically active TV time or encourage dance video games that involve the whole body to play. • Keep the TV in the living room and not in kids' bedrooms. This will help decrease how much they watch as well as what they watch. • Turn off the TV during meals. The next Staff Fitness Challenge starts on February 13th. Courtyard harvest brought vegetables to the cafeteria. There was a nice article in The Herald. SMS will be building hoop houses for our raised bed gardens. We are purchasing a salad bar for the cafeteria that will be in this spring. 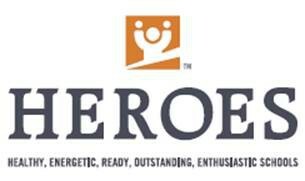 Currently, the HEROES committee is looking for students to join Gardening Club. 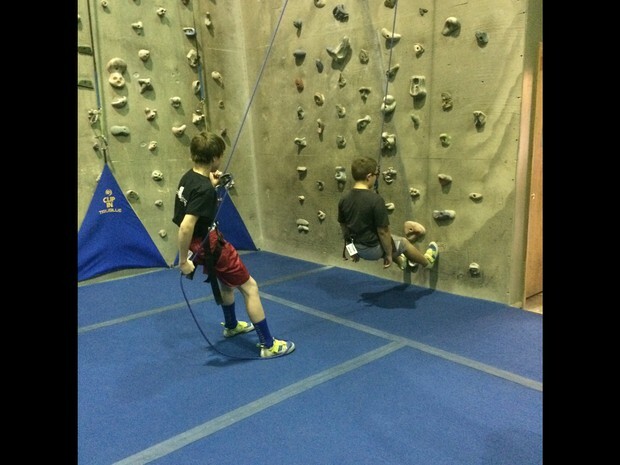 The Raiders of the Rock Climbing Club will run a spring session beginning in March. 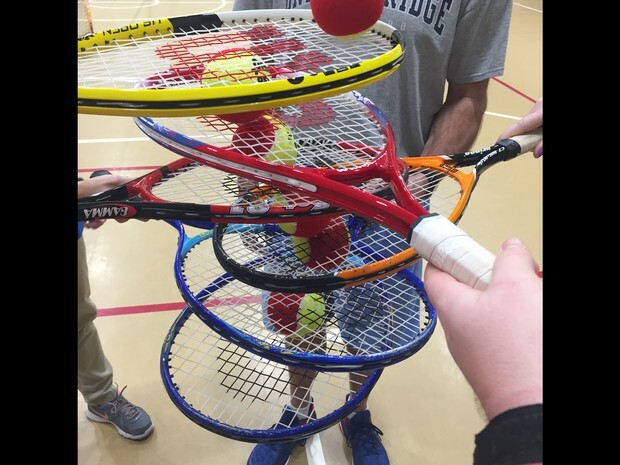 PE teachers attended USTA Conference and brought back materials for a tennis program in PE. The student walking club is tracking their miles and planning to rack up enough miles to WALK TO New York City before Spring Break! Check next month's HEROES Happenings for an update. The staff completed a water challenge in December and has begun a 6-week S.W.E.A.T. Challenge in which each week participants are to weigh themselves, abstain from a specific food group or item, try to implement a special exercise, and partake of a certain number of servings of something healthy. In addition, they are to exercise 30 minutes each day. It's harder than it seems! Our Corporation PE teachers attended training provided by ATP and received tennis equipment for our students. They all had a great time. Pictures are below. • Provide calm, pleasant meal times where adults and children can talk together. • Allow children to use their internal signals to decide how much and what to eat. • Explore a variety of flavors and foods from different cultures and cuisines. • Share an appreciation for healthful food, lovingly prepared and shared with others. • Make simple food safety, such as washing hands, part of every eating occasion. • Teach basic skills for making positive food choices away from home. • Find credible food and nutrition resources when you do not know the answer. While this may seem like an intimidating to do list, two family habits go a long way to making all this happen: regular family meals and involving kids in nutrition from the ground up. With that impressive list of benefits, it is worth making the time and effort to enjoy more family meal times each week. Look for easy ways to add just one family meal to the schedule. If evenings seem too hectic for family dinners, set aside time for a weekend breakfast or lunch. After a month or two of this new pattern, you can add another family meal each week. Before you know it, you will be eating together on most days. This one is fun for everyone and it can happen anywhere — your kitchen, the grocery store or a community garden. Every trip through the supermarket can be a nutrition lesson. 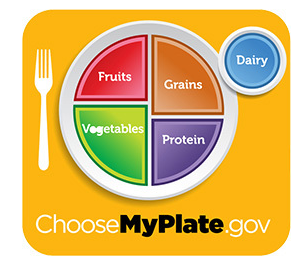 Kids can learn to categorize food into groups: grains, fruits, vegetables, dairy and protein foods. They can choose new foods they want to try, including picking out a new fresh, frozen, canned or dried fruit each trip. As children get older, they can help plan the menu at home and then pick out the foods to match the menu items while shopping. Nutrition is just one of many reasons to have a garden. The process of planting, watching over and harvesting a garden provides daily opportunities for children to learn valuable lessons and enjoy physical activity, while reaping the fruits (and vegetables) of their labor.